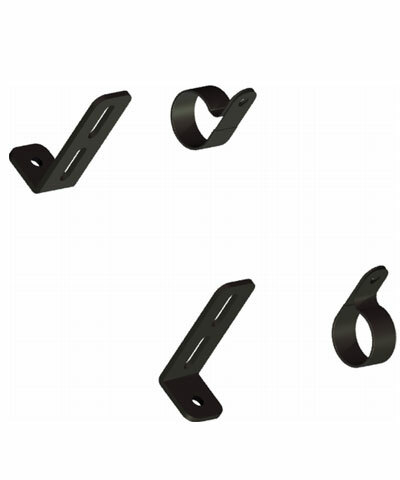 The Rubber Coated Metal Straps for Lateral Knee Supports are ideal for mounting these supports to any tubular part of a wheelchair frame that is available. Supplied with the Straps are all the fasteners necessary to make an easy, "in the field" installation. These straps will fit tubing that is 1" in diameter.